Nucletudes, as a subsidiary of Airbus Defence and Space, joined its mother company in signing the Diversity Charter in February, 2015. Through this Charter, Nucletudes shows its commitment to fight against the discriminations and to act in favour of the cultural, ethnic and social diversity. Nucletudes also maintains its Policy to ensure equal opportunities between men and women, intergenerational cooperation and integration of the people with disabilities. 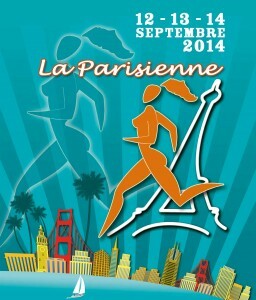 Sunday, September 14th, 2014, in the morning, 6 employees of Nuclétudes, sponsored by their company, took part in the 18th edition of “La Parisienne”, a 6.7 km race only open to women which has supported research on breast cancer. Nuclétudes is happy to have contributed to this noble cause. Such neutron tests are a mandatory qualification step for equipment and systems that need to be operated in a neutronic environment. Neutron tests are particularly relevant for defence and civil nuclear applications. Neutron tests may also be of interest in aeronautics. Indeed, the interaction of cosmic rays with air molecules generates atmospheric neutrons that can disturb electronic components. Assessing in anticipation the sensitivity of the onboard avionics with respect to the atmospheric neutrons would allow characterizing its transient behaviour in such an environment. It would also be the right way to identify solutions that could be implemented to cope with such transient effects if needed. This approach based on neutron tests would then be valuable when it comes to operational fleet management issues: it would avoid replacing untimely a healthy piece of equipment that would just have encountered an atmospheric neutron, which means it would avoid non necessary fleet management costs. – the realization and exploitation of the tests. – the neutron beam that is triggered almost instantly while offering a good stability during the whole test duration. charge the test definition and implementation on his own. For more than 45 year, Nucletudes has acquired an extensive background and expertise in understanding radiation effects on electronic systems and mechanical structures, mastering the electromagnetic coupling phenomena, assessing the vulnerability, and ultimately hardening systems. – its neutron-based instrumentation systems, including especially its neutrons sources designed for industrial and laboratory applications. Sodern designs and produces its neutron sources. – the NASA Achievement Award (2007; CALIPSO IR radiometer). 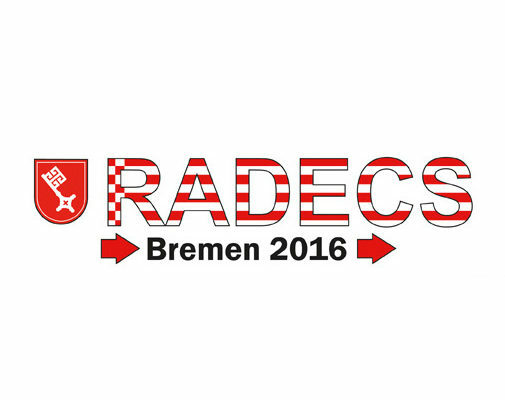 – optics with the design and production of high performance applications for space, defence and industry. All the employees of Nucletudes have learned with sadness the sudden demise of his founder Jean-Jacques Samueli, arisen on February 22nd, 2014. Chairman and CEO of Nucletudes between 1966 and 1984, then CEO until 1999, he led his company during 33 years. PhD in science, he was also keen on literature. He successfully became a recognized author on the history of science and published several books that are considered today as references. He has been passionate about science throughout his life: he wrote his last book “Standard model of particles physics: from the electron to the Higgs boson” in 2013. All the past and present employees of Nucletudes owe a lot to J.J. Samueli, not only because he created this company but also because he managed to put the company on the right tracks so that it is still today a key player in radiation hardening. Jean-Jacques Samueli will be remembered as a brilliant character, with a natural charisma, and a boiling mind able to breed high value thoughts. All the employees of Nucletudes feel an immense sorrow, and wish to express their deepest sympathies to his family and friends. 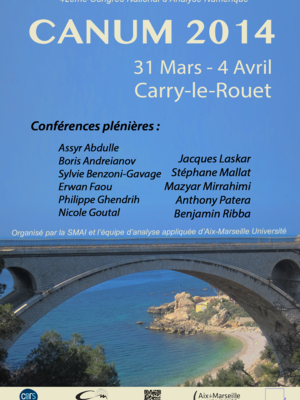 Nucletudes attended to the 42nd Numerical Analysis Congress – CANUM 2014 – from March 31st to April 4th in France. “Resolution of Maxwell-Vlasov equations on a non conforming mesh by a Galerkin Discontinuous method”. Nucletudes, the “Institut Supérieur de l’Aéronautique et de l’Espace” (ISAE) and the ISAE-SUPAERO Foundation have just signed a sponsorship agreement dedicated to the creation of a Chair focused on the “radiations impact on space systems design”. The behaviour of an on-board equipment with respect to the effects of space radiations is a major constraint and a constant concern for the development or the implementation of aerospace systems. 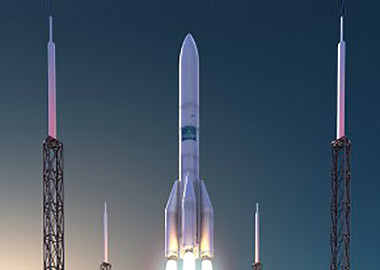 As this topic remains a key issue, Nucletudes, the “Institut Supérieur de l’Aéronautique et de l’Espace” (ISAE) and the ISAE-SUPAERO Foundation have just signed a sponsorship agreement dedicated to the creation of a Chair focused on the “radiations impact on space systems design”. The aim of this Chair is to promote the idea among space system designers that the behaviour in radiative environment of the on-board electronic systems must be addressed on the one hand within the framework of the overall program which integrates them and on the other hand as early as in the design phase of these programs. Indeed, radiations must not be considered as a constraint to be taken into account only once the system has to face its qualification step. For a three year period, this Chair will have a budget of 195,000 € (VAT included) in order to put in place for the SUPAERO engineering students a 80 h specific training program and a research project entitled “nanosatellites and probes for space exploration”. An additional funding will be devoted to the implementation of a research partnership which will consist in a doctoral thesis exploring innovative technologies for the design of CMOS electronic components coping with specific radiative environments. This Chair will enable the ISAE to develop its high-level training courses and its research in the space systems design area. For Nucletudes, this partnership will contribute to develop strong strategic relationships with the ISAE and to promote its expertise in the problems of vulnerability and space systems hardening (satellites and launchers) with respect to radiative environments among the ISAE students.